Larvikite (black labradorite) is a protective and grounding stone, and is said to promote patience. This beautiful shimmering stone can be used in meditation to strenthen your inner vision. Black onyx is a powerful protection stone. 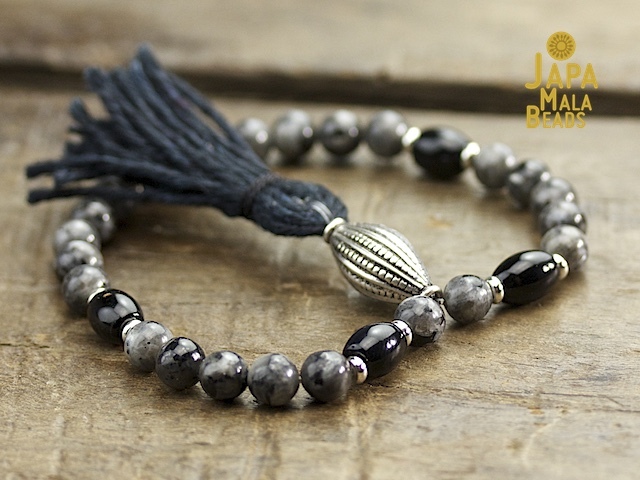 This strength-giving stone also balances mind-body-spirit and focuses the mind to improve memory and concentration.